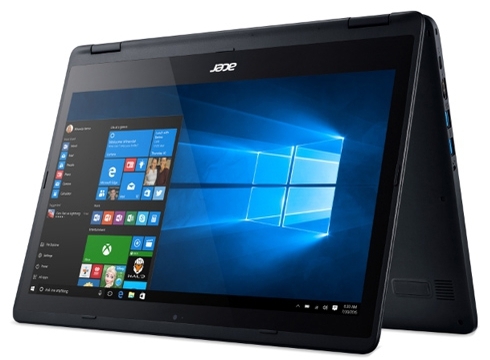 The Acer Aspire R5-571T-59DC is an entry level convertible laptop with 2.30 GHz Intel Core i5-6200U dual core processor, 8 GB DDR4 SDRAM, a 1 TB HDD and Intel HD Graphics 520 with shared memory. It is suitable for light usage such as daily productivity tasks, internet browsing, and entertainment. 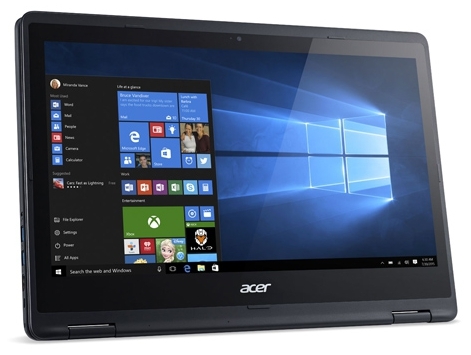 Its 15.6" IPS display features Full HD resolution and a 16:9 aspect ratio. As for operating system, it comes with Windows 10 Home 64 bit pre-installed. The laptop measures 14.6 x 10.1 x 0.8 inch (37.08 x 25.65 x 2.03 cm) and weighs at 5.29 lbs (2.4 kg). 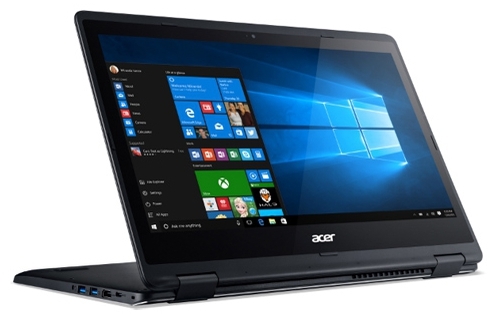 To enhance audio quality, both speakers built into the convertible laptop feature Dolby Audio Enhancement. Besides that, the laptop comes with a webcam with a resolution of 1280 x 720 pixels. For input, there are a backlit keyboard and touchpad. Furthermore, the laptop's lithium ion battery with 4 cells and 3220 mAh provides a battery life of up to 9 hours. For network and communication, it features WiFi, Ethernet and Bluetooth 4.0 built in. As for interfaces and ports, it features an HDMI port, a USB 2.0 port, two USB 3.0 ports and a USB 3.1 (Thunderbolt 3) port.